To keep up to date with the latest careers information go to Important Info. and click on Latest Careers Information. The latest School Based Traineeship & Apprenticeship positions are available to view in Job Vacancies. Check them out - lots on offer! For the latest information regarding scholarships to a variety of campuses click here NOW! Click on Careers Newsletter in Important Info to view. Concordia Lutheran College Careers is not currently on Facebook. 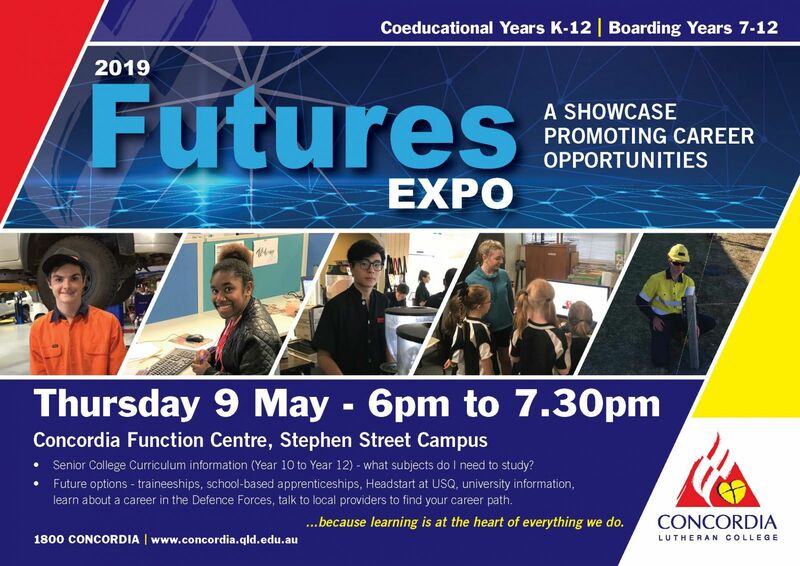 Copyright © 2019 Concordia Lutheran College Careers. All rights reserved.